You guys should check it out. I love the website for everything to do with art. Some of the art of I seen puts mine to shame but it doesn't discourage me because it's not so much what it looks like as it is the process and the relaxation I get from it. I am sticking with the black and white for now and will start using one or two colors at a time soon. I haven't liked any of the colored ones I did so far. My goal here is to show case my work. 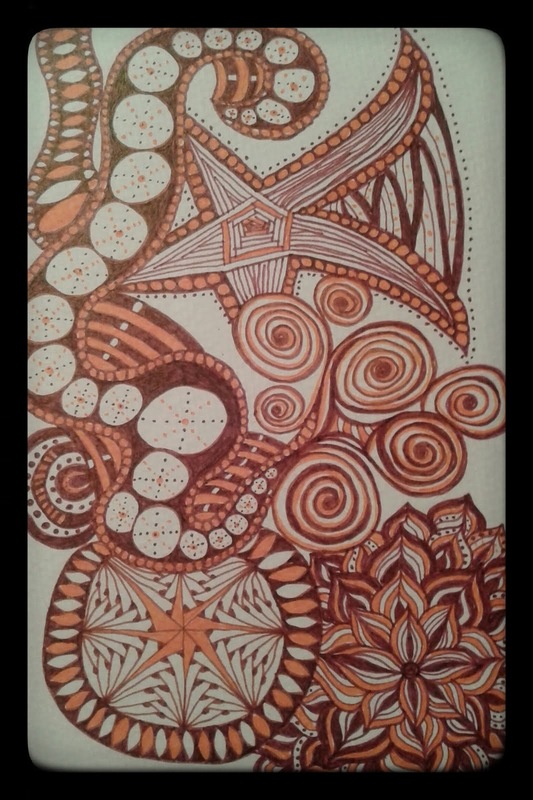 I would love your feedback on my tangles and would love for your to send me yours. I will be posting my work daily since I create everyday. My goal is to have a new tangle up everyday. If anyone has any advice with this blog please feel free to contact me. I've been drawing for years and doodling for the last few until I came across zentangles and realized it's a huge artform that has been created for people like us. 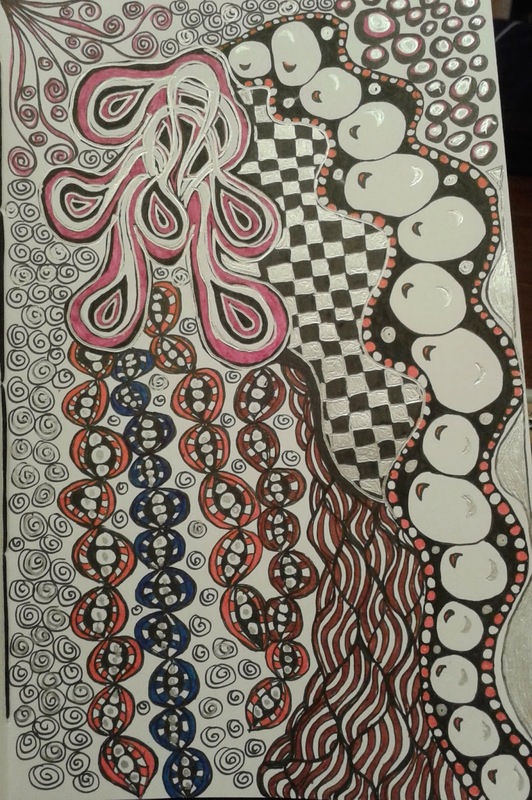 I've created this blog to get involved with the zentangle@ community and possible get some great advice when it comes to creating tangles. I stumbled upon this art form a few months ago while looking for patterns and have been obsessed ever since. 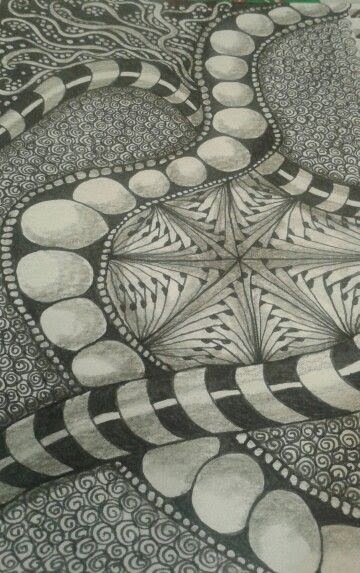 I would eventually love to get certified as a zentangle teacher and have a chance to meet the founders of this wonderful artform. I've been doing art journals and mixed media for years but when I found this I haven't done anything else. 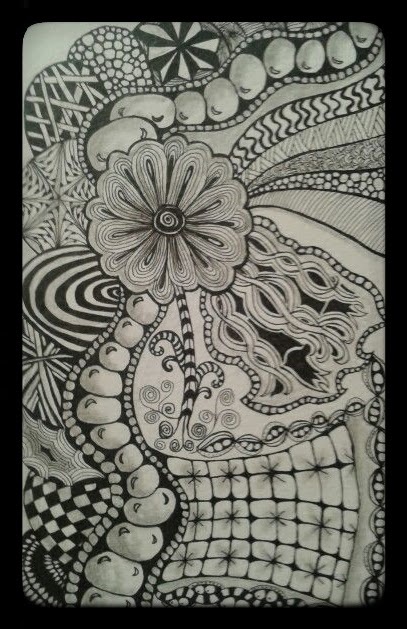 It's so relaxing but yet you create these wonderfully intricate pieces of art. I look forward to deepening my tangle journey. You will start to notice what tangles I favor. my hand hurt after this but I'm very happy with it.